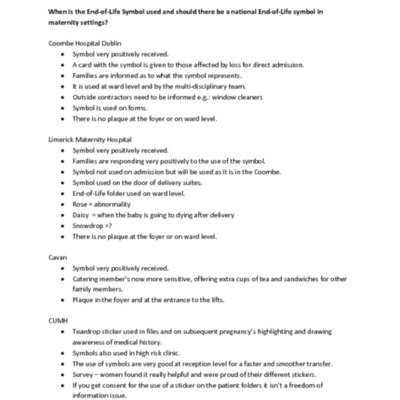 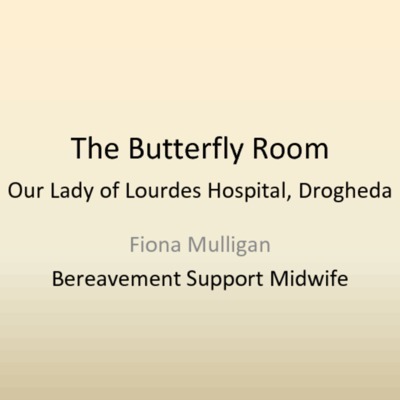 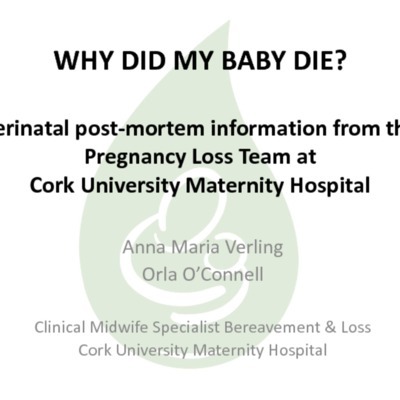 Bereavement Care in Ireland's 19 Maternity Units. 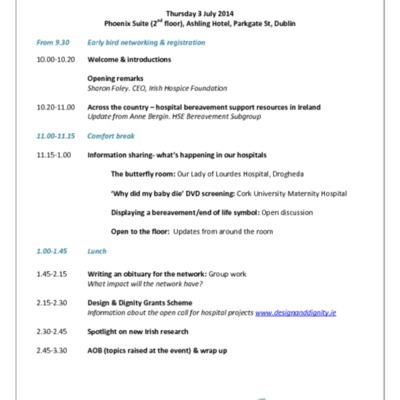 Certificate of attendance for Maternity Network workshop, 2014. 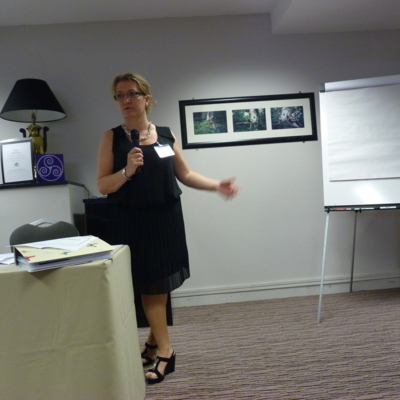 Draft of Sharon Foley's opening remarks. 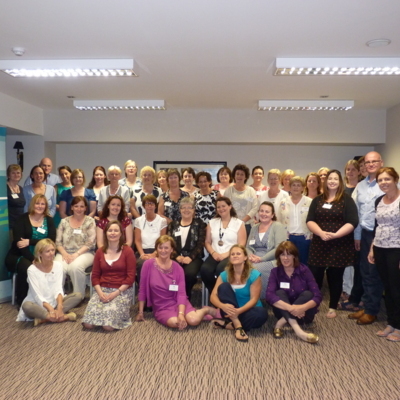 Summary of the Maternity Network workshop, 2014. Summary of issues raised in the Maternity Network workshop, 2014. 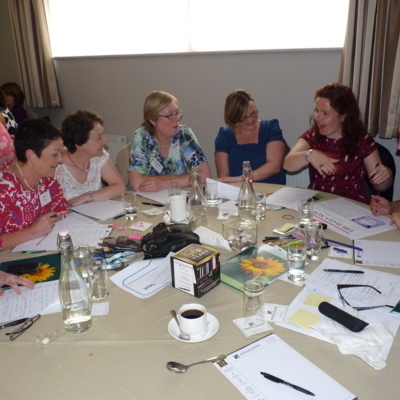 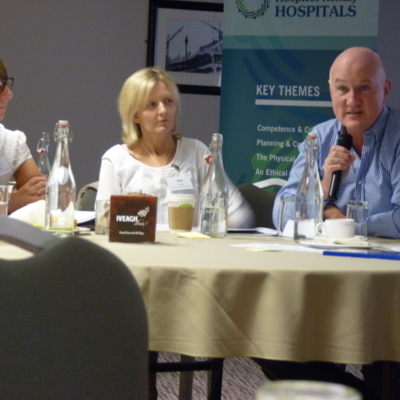 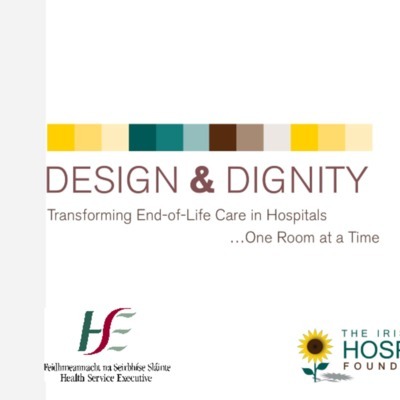 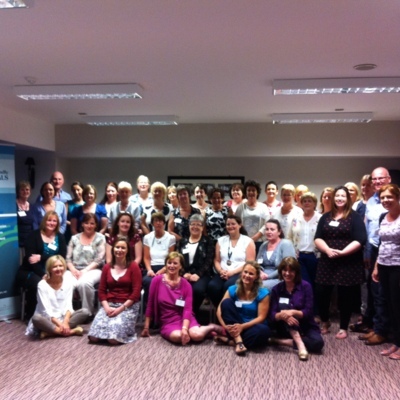 Irish Hospice Foundation, “Maternity Network workshop, 2014. ,” Archives Hospice Foundation, accessed April 22, 2019, http://archives.hospicefoundation.ie/document/771.